If there’s anything influential on our culture, it’s social media—Facebook in particular. As of September 2017, Facebook boasted 2.07 billion monthly active users, with an average of 1.37 billion daily users. Used by 64% of Americans, Facebook still remains the most common social network. Additionally, the average user spends 20 minutes per day on Facebook, making it the most popular site online. There’s no way around it: Facebook is big, and it is here to stay. For small business owners and marketers, this means one thing—potential customers. More Facebook users means more potential connections, relationships and sales. If you have a business page, how can you utilize Facebook to increase your followers and grow sales? We have some tips for how to improve your engagement on Facebook. 1. Fill out the “About” section. The easiest way to gain more “likes” on a Facebook page is by simply filling out the information in the “About” section. This makes the page easier to find for users while improving a business’s credibility and increasing Google search engine rankings. Include any and all applicable information, such as address, phone number, location and mission statement. 2. Promote your page via email. If you already have a substantial email marketing list compiled, use it to help boost your Facebook page. In your next email blast, include a call to action encouraging current and potential customers to like and follow the page. Emphasize the value in liking the page, such as updates on sales, extra promotions or contests. 3. Share images and video in your content. Content is king. The most valuable content on social media is in images and video. These serve as a great way to share content through your page and increase Facebook followers. According to Social Media Examiner, Facebook photos generate an 87% interaction rate from followers, and videos bring in more than 8 billion average daily views. If you want to improve your engagement on Facebook, images and video are the best way to do it. Here’s the biggest thing: if you want more followers to engage with your Facebook page, then your page should probably be engaging with them. Engaging with followers, customers and fellow pages on Facebook is necessary for increasing your followers. Get in the habit of regularly leaving thoughtful, interesting or even funny comments or responses with others, to demonstrate more of your brand’s personality and earn more likes on the page. 5. Post at optimal times. When you post is almost as important as what you post. CoSchedule found that the best times to post on Facebook are between 1:00 and 4:00 p.m. on days late into the week and on weekends, like Thursday, Friday, Saturday and Sunday. Research the best times to post on Facebook before scheduling content to gain the most engagement. Finally, consider utilizing Facebook Ads to increase page followers. Facebook Ads are paid advertisements your business can use to reach out Facebook users. According to Invespcro, 92% of social marketers use Facebook for advertising, and have seen increases of 23%, 20% and 13% on post engagement, website clicks and page likes, respectively. Learn more about Facebook Ads yourself to see the return on investment. 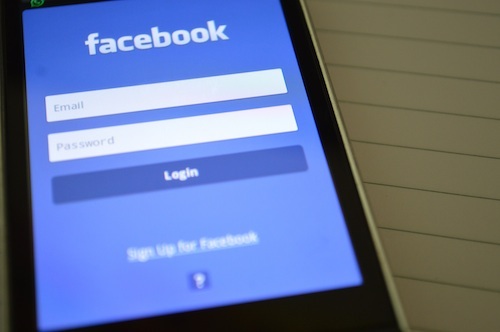 Facebook is here to stay, so make sure your marketing efforts are doing the best they can. Use some of these tips to improve engagement on your Facebook page and grow a business.